Jesus was a prophet of God sent to guide the children of Israel with a new scripture, the Injil (Gospel). He was made a prophet when he was 30, and he did his duty as a prophet for three years. He was the last prophet sent to the children of Israel. Muslims believe that Jesus will return to earth near the end of time to restore justice and defeat the Anti-christ. 1 Was Jesus equal to the Father and the Holy Spirit? 2 Do all Christians believe Jesus was God or Son of God? The early Jewish-Christians such as the Ebonites, the Cerinthians, the Basilidians, the Capocratians, and the Hypisistarians. The Arians, Paulicians and Goths also accepted Jesus as a prophet of God. Even in the modern age there are churches in Asia, in Africa, the Unitarian church, the Jehovah's witnesses, and even the majority of todays Anglican Bishops do not worship Jesus as God. 3 Did Jesus use the word 'Bible'? 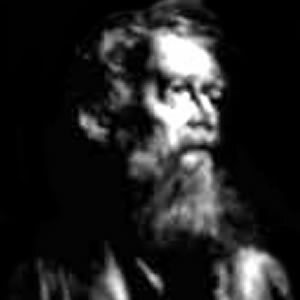 Clement of Alexandria in 215 AD first used the word for the Old Testament. His student Origen (223 AD) used 'the books' to describe all the scriptures. 4 Did Jesus actually exist? No serious historian doubts Jesus actually lived and died. The above historical and diverse evidence from Roman and Jewish opponents is significant enough to prove the existence of Jesus. 5 What is the credibility of the Jesus' resurrection? The resurrection is the most controversial creed issue facing Christianity today. There are numerous explanations for the resurrection, all of which are contested. There is no concensus if Jesus' tomb was found empty or not; whether disciples saw anything or not; even if anything happened or not. 6 How important was Jesus' crucifixion to Paul? Paul does not show any interest in the life and career of Jesus'. Instead his writings depict someone fixated on the death and resurrection of Jesus, the man he calls 'the Lord'. 7 Was Jesus sent and approved by God? Jesus was sent and approved by God. 8 Was Jesus a servant of God? Although the King James Version (KJV) Bible claims "his Son Jesus". Modern, more reliable Bible translations use "his servant Jesus" for this verse. 9 What was the most important belief for Jesus? Hear, O Israel: The Lord our God is one Lord: And thou shalt love the Lord thy God with all thine heart, and with all thy soul, and with all thy might. Love your neighbor as yourself. 10 Did Jesus preach monotheism? 12 Did Jesus claim to be God? When read in context with previous verses 22-30, Jesus makes a distinction between himself and the Father. 'My Father who has given them to me, is greater than all'. Therefore, Jesus and the Father are not one in person, for the Father must be a distinct person from the Son, and the Son a distinct person from the Father. The use of the verb plural, "I and [my] Father", (esmen) , "we are one" is in nature and essence. 13 Jesus claimed to be God. The Jews must have understood this, as they accused him of blasphemy and were ready to stone him? The Jews were mistaken. Jesus did not claim to be God, claim divinity or commit blasphemy. In the next verse (John 10:34), Jesus tells the Jews to read their own books, Psalm 82:6 where men in power, eminence, dignity, government, judges, magistrates, in high office posts are called Gods too. i.e. the term God does not literally mean GOD. 14 Who instigated the crucifixion of Jesus? There is no doubt the Jewish religious leaders of Israel were responsible for Jesus' death. The Romans carried out the actuall crucifixion under the authority of Pontius Pilate. Then many of the Jews which came to Mary, and had seen the things which Jesus did, believed on him. But some of them went their ways to the Pharisees, and told them what things Jesus had done. Then gathered the chief priests and the Pharisees a council, and said, What do we? for this man doeth many miracles. If we let him thus alone, all men will believe on him: and the Romans shall come and take away both our place and nation. And one of them, named Caiaphas (Jewish high priest), being the high priest that same year, said unto them, Ye know nothing at all, Nor consider that it is expedient for us, that one man should die for the people, and that the whole nation perish not. 15 Did Jesus claim to be equal to God? 16 Are Jesus and God the same? 17 In John 20:28, Jesus is called a God? This verse 28 is a statement by Doubting Thomas and is used to demonstrate that Jesus was viewed as God, and therefter worshipped as one. In the earliest manuscript, Papyrus66, the words "and my God" are missing. So verse 28 reads "And Thomas answered and said unto him, My Lord". It appears that later bible scribes came across a gap in the manuscripts and using guesswork and speculation, filled it with the words "and my God". Unfortunately, it is impossible to know what the original words in the papyrus were. 18 Did Jesus call for the worship of one God? Ye worship ye know not what: we know what we worship: for salvation is of the Jews. But the hour cometh, and now is, when the true worshippers shall worship the Father in spirit and in truth: for the Father seeketh such to worship him. 19 Did Jesus call to the worship of Father? 20 Was Jesus a man? Jesus confirms he is a man. This was the perfect opportunity for Jesus to claim he was a diety and greater than a man. 22 Did Jesus claim to be good? Jesus said that only God is good alone. Why do you call Me good? Jesus replied, No one is good except God alone. 23 Did Jesus confirm the oneness of God? And one of the scribes came, and having heard them reasoning together, and perceiving that he had answered them well, asked him, Which is the first commandment of all? And Jesus answered him, The first of all the commandments is, Hear, O Israel; The Lord our God is one Lord: And thou shalt love the Lord thy God with all thy heart, and with all thy soul, and with all thy mind, and with all thy strength: this is the first commandment. 24 Did Jesus have brothers, sisters and wife? Many Christians believe that Jesus abolished the Old Testament dietary laws. The dietary interpretation of Jesus' words (i.e. swine pig consumption) does not exist in the Textus Receptus Bible, the authoritative Greek New Testament text that was accepted by the Christian Church until about 100 years ago. This parenthetic interpretation of Jesus words was obviously a comment that some Bible scribe wrote in the margin of the text. Later scribes accidentally or deliberately incorporated the marginal comment into the text itself, so the statement appears only in corrupted texts. But the statement does not appear in the Textus Receptus, so the KJV says nothing about Jesus "declaring all foods clean." God had clearly prohibited pig, swine and pork in the Old Testament. This verse was over whether or not 'unwashed hands' caused clean food to become unclean. 26 Can Christians eat swine and pork? 27 According to Jesus, what was the greatest commandment in Law? Teacher, which commandment is the greatest in the Law? 28 Did Jesus' disciple question his resurrection? 29 Did Jesus call for worship of one God? 30 What is the significance of Jesus' resurrection? The resurrection of Jesus is of crucial importance to Christian doctrine. The Christian religion was founded many years after the death of Jesus based on the beliefs in his resurrection. Put simply, if there was no resurrection story, their would be no Christianity. 31 How did Jesus preach salvation and eternal life? To attain salvation, Jesus insisted on his followers keeping the commandments, by obeying the Old Testament Law. And, behold, one came and said unto him, Good Master, what good thing shall I do, that I may have eternal life? And he said unto him, Why callest thou me good? there is none good but one, that is, God: but if thou wilt enter into life, keep the commandments. 32 Did Jesus eat a kosher diet? Kosher was based on Biblical precepts such as Leviticus 11, Jesus would have observed them because, Jesus fully obeyed the Law of Moses under which he lived and died. There is no doubt that Jesus lived as a Jew, thus fulfilling the obligation of every Jew to "keep kosher" and the same can be said for all of the twelve disciples. 33 Was Jesus a man of peace? Jesus was responsible for killing and destroying the people who did not remain faithful. Surely he could have forgiven them? Jesus denied his message would bring peace on the earth. Suppose ye that I am come to give peace on earth? I tell you, Nay; but rather division: For from henceforth there shall be five in one house divided, three against two, and two against three. The father shall be divided against the son, and the son against the father; the mother against the daughter, and the daughter against the mother; the mother in law against her daughter in law, and the daughter in law against her mother in law. 35 Did Jesus come with the message of peace, love and unity? Think not that I am come to send peace on earth: I came not to send peace, but a sword. For I am come to set a man at variance against his father, and the daughter against her mother, and the daughter in law against her mother in law. 36 How did Jesus pray? Fishing boat from 1st century that was found buried in the Sea of Galilee. Jesus used one like this or maybe even this one! Did Jesus really call God ALLAH?